SouthSmoke.com carries many herbal shisha styles and flavors for the discerning hookah smoker. One of the best parts of smoking herbal shishas in this day and age is the wide variety of herbal shisha flavors available on the market for you to choose from. Herbal shishas are quickly becoming the preferred way to smoke for many hookah smokers worldwide. Browse our extensive selection of herbal shisha offerings and find your next favorite flavor at SouthSmoke.com! At SouthSmoke.com, we have worked hard to find the best herbal offerings for your enjoyment. Herbal shisha is quickly gaining popularity in the hookah world as the preferred shisha tobacco free option. We bring you the best herbal shisha that is 100% tobacco free, nicotine free, and tar free to give you the smoothest, most natural smoking experience. It's the kind of hookah smoke you've always deserved but have been unable to get online, that is, until now. 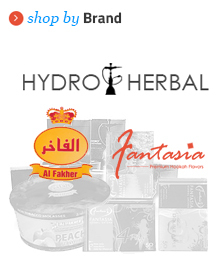 We offer herbal options in top brands like Al-Fakher, Fantasia, and Hydro herbal shisha. When you choose a top brand, you know that you?re not only getting the cleanest smoke, you?re also getting the best herbal shisha on the market from some of the finest companies in the business. Our herbal offerings are available in 50g and 200g packs with the same flavors you know and love from your favorite shisha brands.If you?ve been looking for a brand new tobacco free hookah experience, you can?t go wrong with herbal shisha. All-natural is "in" right now, making it the perfect time to join this global phenomenon and see what all the buzz is about! These types of shishas has also gained a lot of attention for providing long-lasting enjoyment, which gets you a lot of bang for your buck! What Makes Herbal Shisha Different? Ever wondered how herbal shisha differs from other kinds of tobacco hookah flavors? Like other shishas, herbal shisha is made from molasses. However, herbal shisha ingredients do not contain any tobacco, nicotine, or tar. Shisha herbal offers you an organic, all-natural alternative to tobacco that is every bit as exotic as its various flavors. Shisha herbal is made from the finest organic herbs and flavoring available to give you a unique taste every time you smoke. Smoking herbal shisha is an experience unto its own, and you owe it to yourself to try out our many tobacco free hookah flavors. At SouthSmoke.com, we're pleased to carry such amazing herbal shishas, and we invite you to try one today! 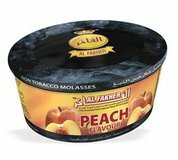 Whether you choose the time-tested taste of Al-Fakher or an up-and-coming Fantasia flavor, you'll be able to taste the difference by trying one of our many herbal molasses brands and enjoying a new hookah smoking experience! We are constantly updating our extensive product offerings to provide you with the most up-to-date smoke. If you're not seeing what you?re looking for in our herbal shisha selection, please peruse the rest of our shisha offerings. We?re sure we have the right smoke for you! If you're still deciding over whether to try herbal shisha vs tobacco, give herbal shisha a try. 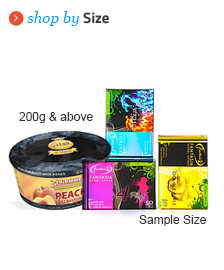 If you've been looking for new hookah flavors without tobacco, herbal shisha could be for you. Additionally, shisha herbal is a great choice for international customers, as these tobacco-free products will not be subject to the high tobacco taxes that customs sometimes charges at the border of your country. Questions? Contact us! We'll gladly answer any questions you may have about your herbal hookah options or finding the right flavor to match your tastes.